What Child is this who laid to rest On Mary’s lap, is sleeping? Whom angels greet with anthems sweet, While shepherds watch are keeping? This, this is Christ the King, Whom shepherds guard and angels sing. Haste, haste to bring Him laud, The Babe, the Son of Mary. …The Cross be born, for me, for you: Hail hail the Word made flesh, The Babe, the Son of Mary. So bring Him incense, gold and myrrh,Come peasant king to own Him,The King of kings, salvation brings, Let loving hearts enthrone Him. Raise, raise the song on high, The Virgin sings here lullaby: Joy, joy, for Christ is born, The Babe, the Son of Mary! A very interesting article by Erica Vowles on Papua Issue…. I just read an enlightened article from Contradiction Blog with title Who supports what? 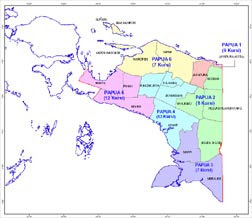 I should congratulate the way the writer put the objective situation in Papua Indonesia. 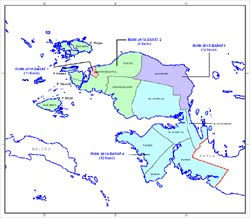 You are currently browsing the Free West Papua - For a Free and Independent West Papua blog archives for December, 2007.